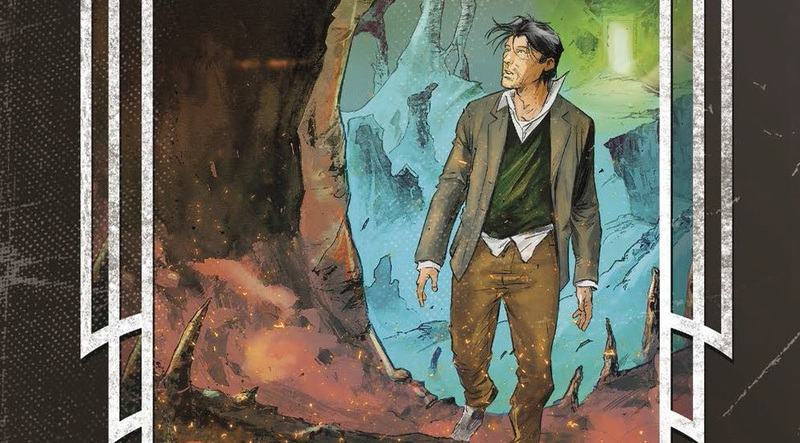 Home » Comics and Comic News » Fearscape #1 from Vault Comics is out tomorrow! Fearscape #1 from Vault Comics is out tomorrow! From Ryan O’Sullivan (Void Trip), Andrea Mutti, Vladimir Popov, and Deron Bennet comes FEARSCAPE. The Fearscape is a world beyond our own, populated by the manifestations of our greatest fears. Once per generation, The Muse travels to Earth, discovers our greatest Storyteller, and takes them with her to the Fearscape to battle these fear-creatures on our behalf. All has been well for eons, until The Muse encounters Henry Henry—a plagiarist with delusions of literary grandeur. Mistaking him for our greatest Storyteller, she ushers him into the Fearscape. A fake man in a fake land…this is the story of the wrong person answering the call to adventure, and the doom that followed.